Berikut ini adalah berkas Buku High Order Thinking Skills (HOTS). Download file format PDF. Higher order thinking skills include critical, logical, reflective, metacognitive, and creative thinking. They are activated when individuals encounter unfamiliar problems, uncertainties, questions, or dilemmas. Successful applications of the skills result in explanations, decisions, performances, and products that are valid within the context of available knowledge and experience and that promote continued growth in these and other intellectual skills. 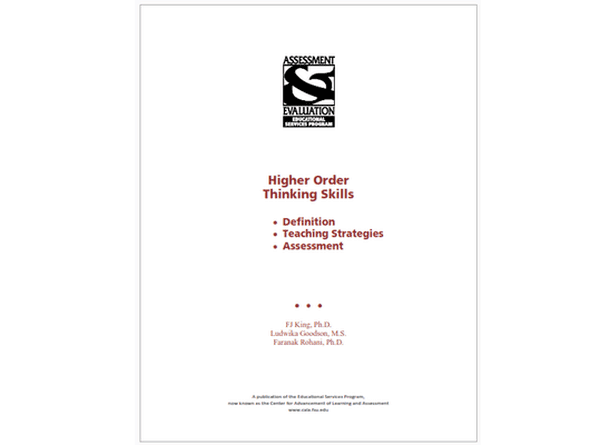 Higher order thinking skills are grounded in lower order skills such as discriminations, simple application and analysis, and cognitive strategies and are linked to prior knowledge of subject matter content. Appropriate teaching strategies and learning environments facilitate their growth as do student persistence, self-monitoring, and open-minded, flexible attitudes. This definition is consistent with current theories related to how higher order thinking skills are learned and developed. Although different theoreticians and researchers use different frameworks to describe higher order skills and how they are acquired, all frameworks are in general agreement concerning the conditions under which they prosper. Lessons involving higher order thinking skills require particular clarity of communication to reduce ambiguity and confusion and improve student attitudes about thinking tasks. Lesson plans should include modeling of thinking skills, examples of applied thinking, and adaptations for diverse student needs. Scaffolding (giving students support at the beginning of a lesson and gradually requiring students to operate independently) helps students develop higher order learning skills. However, too much or too little support can hinder development. Useful learning strategies include rehearsal, elaboration, organization, and metacognition. Lessons should be specifically designed to teach specific learning strategies. Direct instruction (teacher-centered presentations of information) should be used sparingly. Presentations should be short (up to five minutes) and coupled with guided practice to teach subskills and knowledge. Teacher and/or student-generated questions about dilemmas, novel problems, and novel approaches should elicit answers that have not been learned already. Sincere feedback providing immediate, specific, and corrective information should inform learners of their progress. Small group activities such as student discussions, peer tutoring, and cooperative learning can be effective in the development of thinking skills. Activities should involve challenging tasks, teacher encouragement to stay on task, and ongoing feedback about group progress. Computer-mediated communication and instruction can provide access to remote data sources and allow collaboration with students in other locations. It can be effective in skill building in areas such as verbal analogies, logical thinking, and inductive/deductive reasoning. Valid assessment of higher order thinking skills requires that students be unfamiliar with the questions or tasks they are asked to answer or perform and that they have sufficient prior knowledge to enable them to use their higher order thinking skills in answering questions or performing tasks. Psychological research suggests that skills taught in one domain can generalize to others. Over long periods of time, individuals develop higher order skills (intellectual abilities) that apply to the solutions of a broad spectrum of complex problems. Three item/task formats are useful in measuring higher order skills: (a) selection, which includes multiple-choice, matching, and rank-order items; (b) generation, which includes short- answer, essay, and performance items or tasks; and (c) explanation, which involves giving reasons for the selection or generation responses. Classroom teachers recognize the importance of having students develop higher order skills yet often do not assess their students’ progress. Several performance-based models are available to assist them in teaching and assessing these skills. Comprehensive statewide assessment of higher order skills is feasible but would be expensive. Florida and a number of other states now incorporate the measurement of higher order skills in their statewide assessments. Demikian yang bisa kami sampaikan mengenai keterangan berkas dan share file Buku High Order Thinking Skills (HOTS). 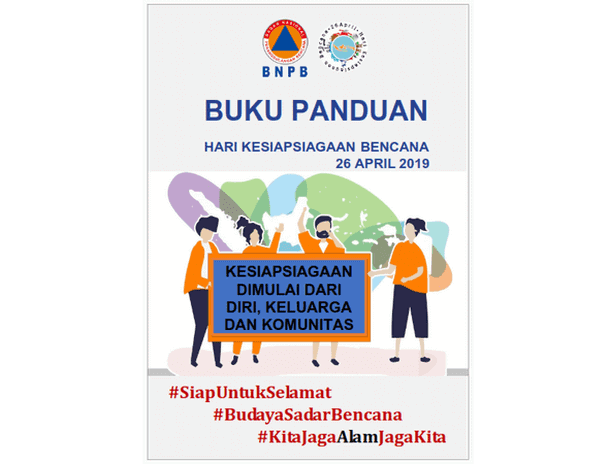 Semoga bisa bermanfaat.